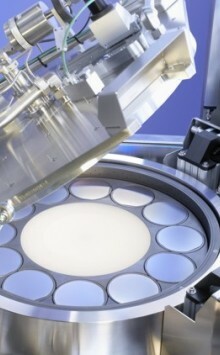 HLT’s extensive manufacturing knowhow has helped University spinout Nanoinstruments to achieve cost effective precision manufacturing of complex ceramic components. Hybrid Laser Tech (HLT) offers specialist precision cutting services and many of its clients are at the forefront of R&D. One of these companies is Nanoinstruments, which is now owned by German company AIXTRON, a leading manufacturer of equipment used to make LEDs (Light Emitting Diodes). Nanoinstruments, which was founded in 2005 by Ken Teo and Nalin Rupesinghe, makes chemical vapor deposition (CVD) and plasma-enhanced CVD research systems for nanomaterials (such as carbon nanotubes and nanowires) for emerging applications in electronics. At the heart of Nanoinstruments’ technology is a patented reactor, which uses precision ceramic components manufactured by HLT. Kevin Thompson, Sales & Technical Manager for HLT, said, “We have worked with the Nanoinstruments team since they were researchers at the University. Over the last six years, HLT has developed laser cutting of fragile ceramics for components that go into Nanoinstruments’ products. Dr Ken Teo, Director of Nanoinstruments, adds, “Visiting HLT opened up our eyes to a different way of manufacturing. Previously, we were using more traditional methods of machining and shaping complicated ceramic components, which were time consuming and often had imperfections such as chips or poor tolerances.